Much like cotton candy at a fair (note how well I use the American term? for me, spun sugar is and always will be fairy floss -- I'm Aussie) this book is sweet. Yes, it's also snarky and a bit violent, but basically it's easy to read, imaginative in its world building, the banter flows and the cast of characters have charm. 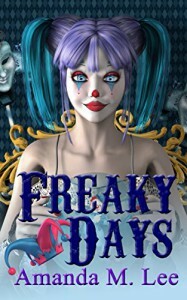 They're an odd kind of family and the reader is welcome to join their world. My new paranormal romance, Dragon Knight, is out today! I'm happy, excited and stressed. This is Lewis's story, that I'd been wanting to write for ages. I just never guessed a house witch would invade his life! If you're a Kindle Unlimited subscriber, you can read it free as part of your subscription. Otherwise it's 99c (and exclusive to Amazon, the condition for including it in Kindle Unlimited). My lovely local library organised an inter-library loan and now I have a gorgeous, fat book waiting for me to crack open. It's tempting me from the top of the bookcase, uncaring that I have work to do. 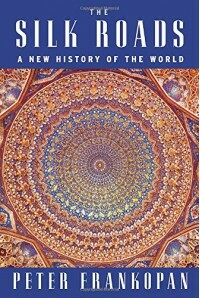 The Silk Roads looks fascinating and had a great review in The Guardian. I'm an intrepid armchair traveller, and on this journey I'll also be travelling back in time. Can't wait! Do you have your weekend reading sorted? Anything you've been waiting on? Does anyone else remember Diana Wynne Jones's Crestomanci series? I loved her books as a kid -- and still do! 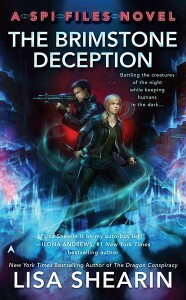 Nicole Luiken introduces a different take on mirror worlds, and I was instantly enthralled. Deftly juggling two storylines and worlds, the book is engrossing. I don't read a whole lot of YA, but evidently I'm missing out! 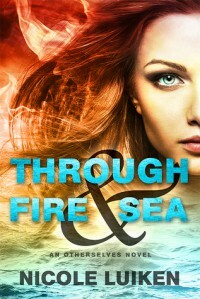 Great mix of fantasy and paranormal romance with engaging heroines, swoon-worthy heroes, and a fascinating villain -- a great villain can make a book! I need an unlimited book budget! Cathy Pegau and I were both Carina authors in the early days. 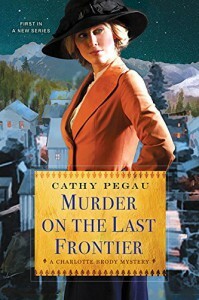 I'd really, really like to read her Kensington mystery, "Murder on the Last Frontier", but $10 for a kindle copy, then factor in the exchange rate (it's ouchy) and it's staying on the wishlist for the moment. It has company! I'd also like to read Kate Parker's mystery series, starting with "The Vanishing Thief". I try so hard here at BookLikes not to be author-me (and I know, I fail when a new release is out), but the result is that I forgot to share the chance to win a $25 Amazon giftcard! 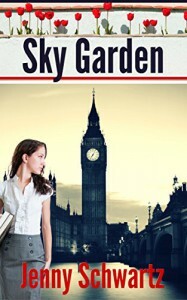 Goddess Fish has organised a book tour for my London romance, "Sky Garden", and if you enter the Rafflecopter draw at any of the blog tour stops, you have a chance to win the giftcard. Good luck! Tour ends Feb 12. 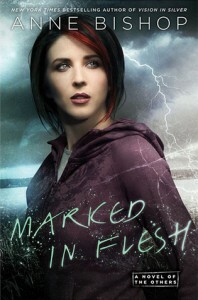 I really like Lisa Shearin's fantasy series that begins with "Magic Lost, Trouble Found". 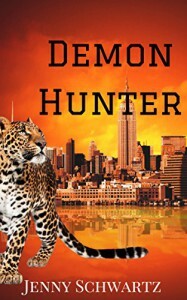 It's taken me a bit longer to connect to this urban fantasy series set in New York, but I'm there, now. "The Brimstone Deception" has warmth, humour and a fast-pace. It's original and engaging, and peppered with pop culture references. The comments on Krispy Kreme donuts are awesome! Also, I kind of like the goblin (you'll know who if you read the series) and wow, doesn't he deliver?!!! I adored the end of the book. You definitely need to read this series in order. Sorry. Monday's first coffee has still to kick in, but I've loads to do so I thought a short review was better than none! I went into 2016 trying really hard not to commit myself to too much reviewing. The idea being that then it becomes a stress rather than a joy. And also, I'm wondering, does reading a book knowing I'll review it change how I read it? Anyways. For 2016 I only have one review commitment: to read "The Road Not Taken and Other Poems", and for this I'm giving myself ALL YEAR to read the slim volume. It's wonderful! I'm still stuck on the first poem, "Into My Own". I can read it, leave it, think about it, go back to it. I'm in no hurry to turn the page. I think this might be how poetry is meant to be read. Only more sure of all I thought I knew. It took me a while to read through the Introduction. 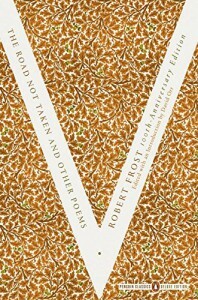 However, I didn't know much about Robert Frost and his work, so the Introduction was worth wading through. Now, the book feels like pure indulgence. So much time, so few words! I'm really enjoying this series that started with "Dark Horse". 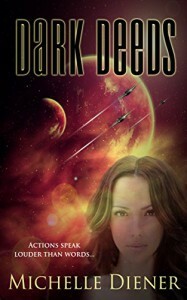 "Dark Deeds" maintains the classic science fiction adventure vibe and gives a thoughtful take on alien abduction, self-respect and resilience. I very much enjoy the ... nope, that might be a spoiler and I don't like sharing spoilers. Let's just say that one of the younger characters is a real joy and there's a very neat twist to his future. As with "Dark Horse" I think "Dark Deeds" is perfect for fans of Anne McCaffrey. Relationships are just as important as the really well-developed world building and high intensity adventure. Ho hum. Good book marred by not hitting one audience strongly. The structure, style and loads of referencing were that of a solid academic article. The author said it was written for the general public. Ah, like me? When I read popular science, I expect the book to do the hard work of bringing the science alive. 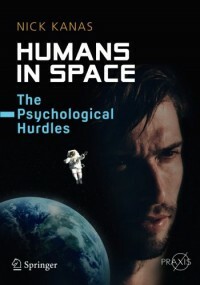 In "Humans in Space" I felt that a really rich topic faded into reviewing studies into it - and some of the studies frankly felt lame. (Then again, maybe I'm grouchy -- it's like when I watch the news and see a report of some study that I wonder how on earth it ever got funding). So much potential in what was written - the impact of isolation on crews, but also on families left behind, can be partly assessed by submariners' and polar expeditionary experiences; issues of psychological profiling to construct crews; different cultural responses and assessment of responses. I was underwhelmed and frustrated by the book. I guess my expectations just didn't match. I wanted a sense of how astronauts (both those who've gone to space and those who trained but didn't make it off Earth) struggle with issues brought out by the unique venture. What I got was one person's recap of their professional research. Bah. I'm grouchy this Monday morning. Someone send more coffee! 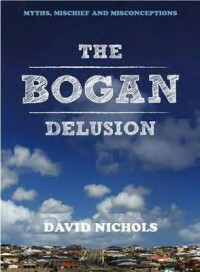 "The Bogan Delusion" by David Nichols was an impulse borrow from the library. It references a lot of Australian pop culture familiar to someone my aching-bones age. I'm not sure if anyone outside of Australia has heard the term "bogan". Even the book can't give a clear definition -- which is kind of the author's point. Think of a working class label used with disdain by middle-class/intellectual critics, but at the same time, worn with pride! Confused? The style of "The Bogan Delusion" reads a lot like a blog post. I'm enjoying it. I grew up in a neighbourhood happily bogan (although the term wasn't around then) and it's an interesting puzzle to read the book and try to define just why I'd call my neighbourhood (the people of whom I loved and we chat on Facebook and miss the old days, the neighbourhood having been levelled for industrial development) bogan.